Suspension: Trailing arm design with spring air bags. and 4 small LED marker lights and 6 large tail lights in rear. Battery and all wiring is enclosed and hidden from view. Total of of 24 LED lights on trailer. 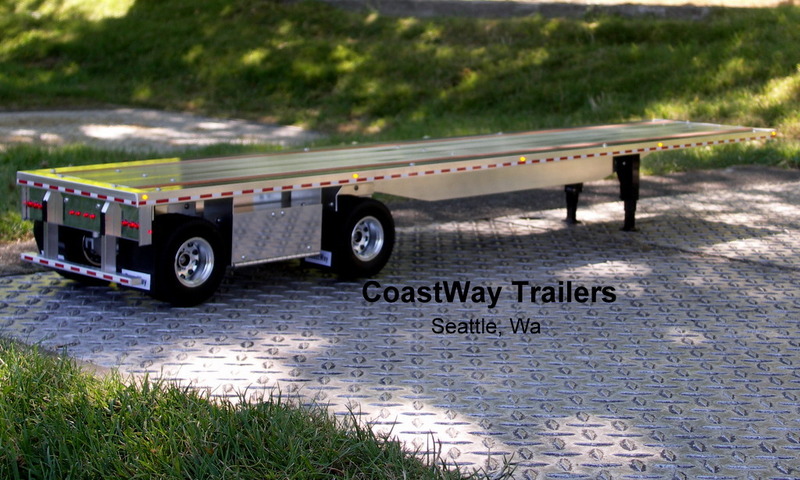 Note: Trailer lighting is independent from truck so regardless of what your truck has, the trailer will still have marker and tail lights, with no connection to the truck. Deck: Aluminum decking with wood nail strips. 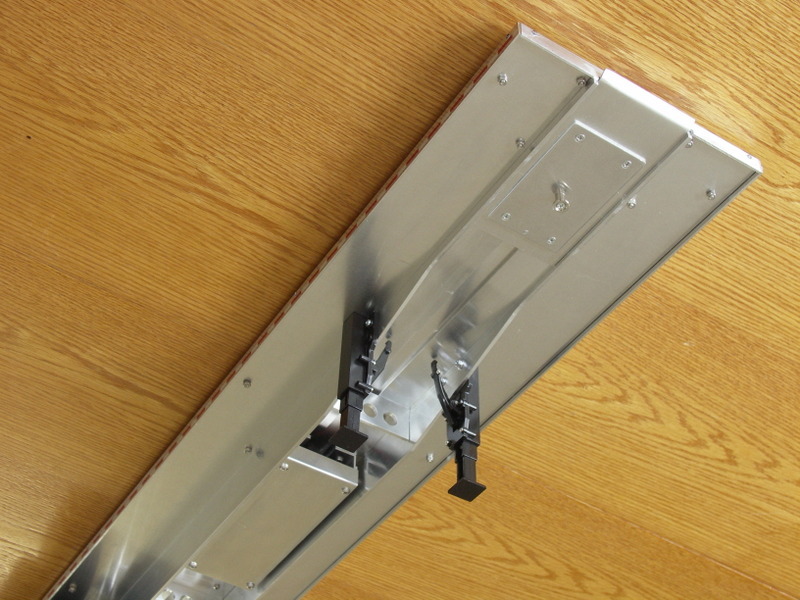 Tool Boxes: Boxes are constructed of all aluminum with drop down doors on piano style hinges. Rubber mud flaps on all wheels. Note: There will be a wait time for these trailers, usually 4-10 weeks. Email me for pricing and shipping cost. 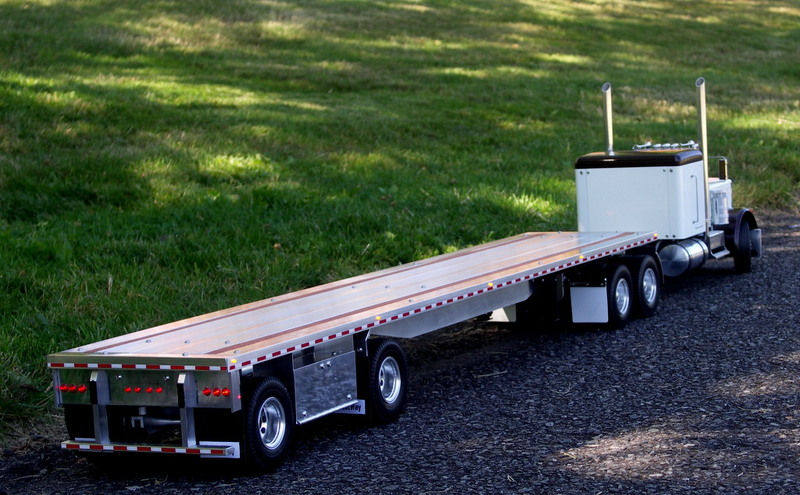 I’ll be building my first rig soon, didn’t like the length on the trailer offered by Tamiya. 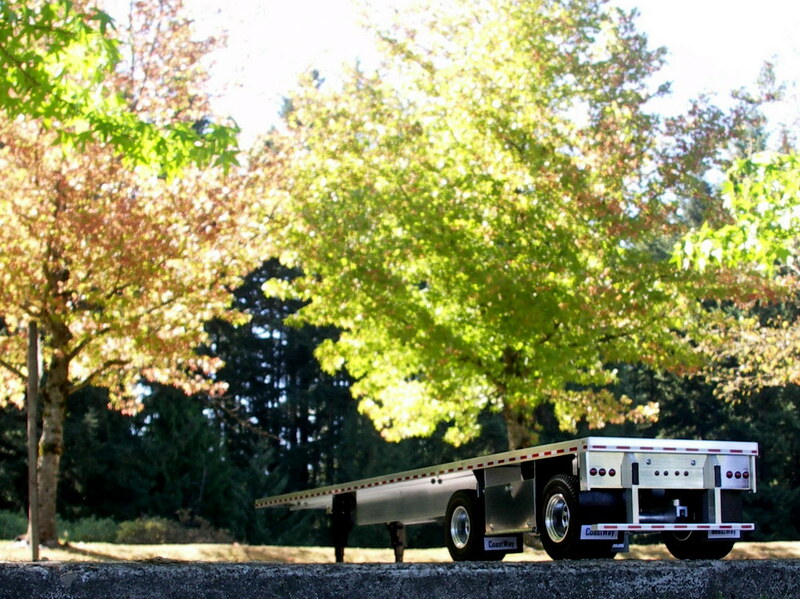 Could you possibly email me a price on this spread axle flat bed in 53’ please? Thank you! Hi Erik, I sent you an email with price and date of completion, Thank you very much! Hi Darwin, I agree with you on the comments made about the trailers currently offered by other manufacturers. You do tremendous work on your trailers. 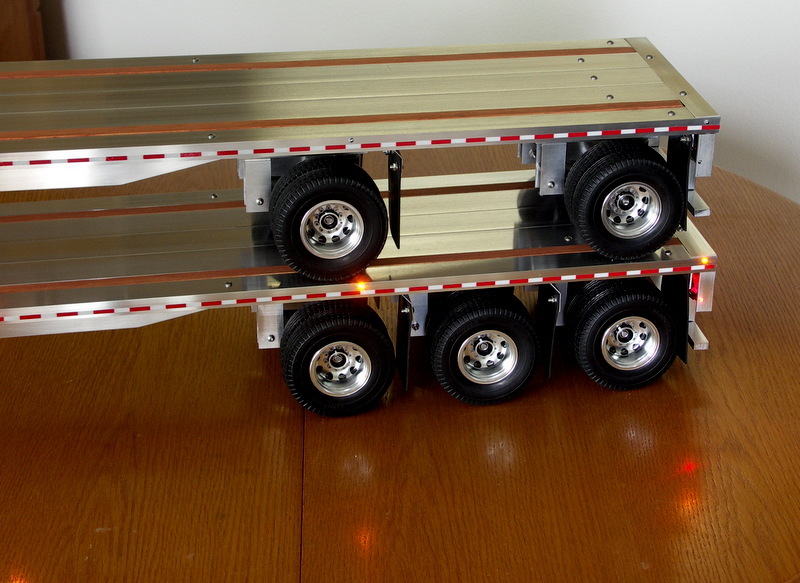 I’ve just started in the RC big rig world and wanted to know if you give me a price on the above trailer in the 53′ realm. Also is it similar to a BST II flatbed? Thanks for your consideration. I sent you an email John, Thank you very much! Thanks Byron, I sent you an email. Thanks Jeron, I will send you an email. Looking to buy the 48′ spread axle with tool boxes and little up.. 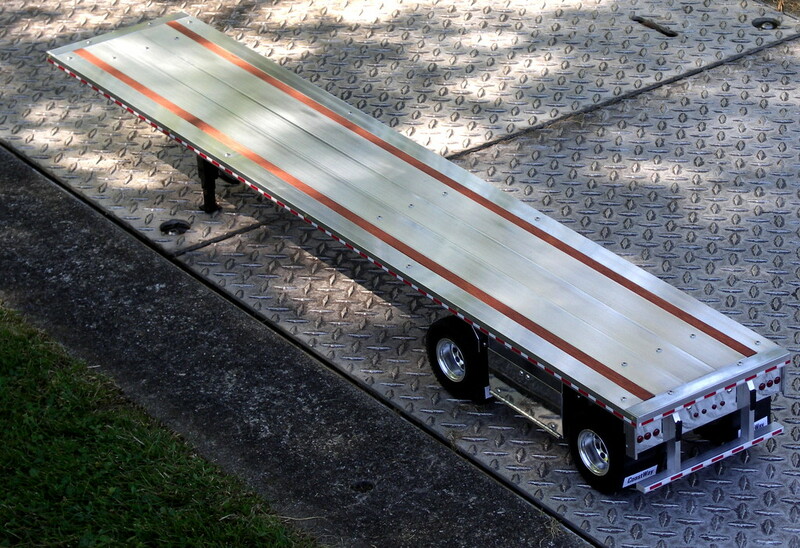 I was curious if you would be interested in selling just the spread flat trailer with the deck. I think that it would be perfect for a custom reefer build. If not thats fine. Amazing work. I was wondering if you could build me a version with tandems at the back instead of a spread? I’m building a scale version of my truck and my full size has tandems at the back with the side boxes in front. If not then I understand. Thank you and amazing work. Thanks you very much!! 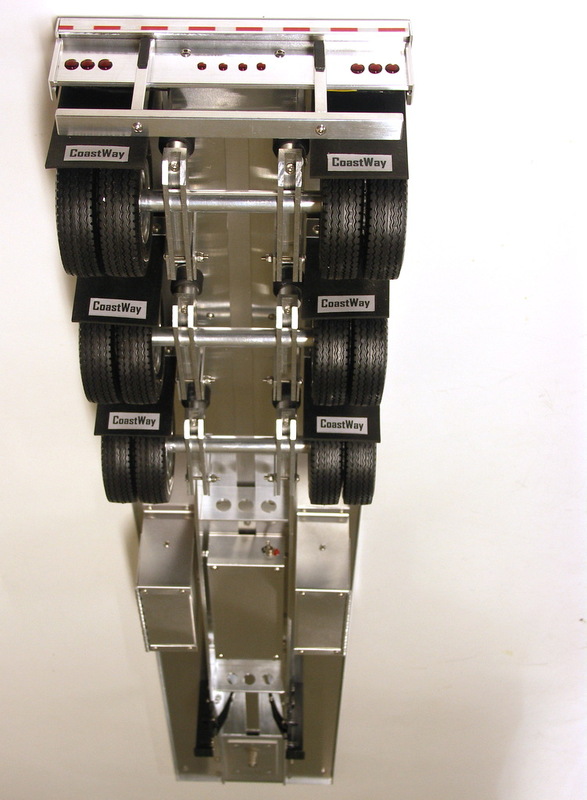 What makes it nice with this style of suspension system, is they are easy to place where you want them, you could have a closed tandem and then at a later time you could remove a couple of screws and slide it forward into a spread axle configuration, and swap the tool boxes also. I sent you an email. Thank you very much! I sent you an email. That’s great Carlos! Glad you got it ok and you liked it! That’s what makes this satisfying. Thank you again! 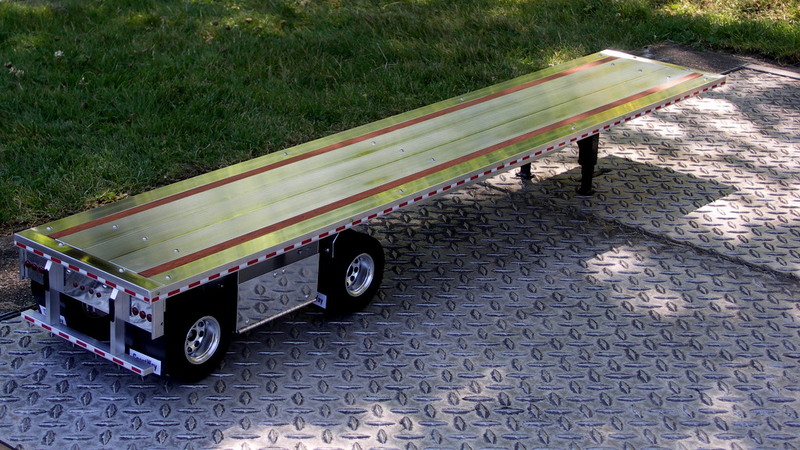 Ok you twisted my arm, I’ll take a Step deck and a Flatbed! No Hurry just email me when you get them ready and I’ll pay the fare and wait for the freight! Your planning on doing some serious trucking! Great, I will be glad to get you set up. It will be a ways into the future, I have several trailers waiting to be built once I get settled into the new place in early November. But we will discuss via email exactly what you want, options etc. Thanks Randy!! Great, sent you an email. I sent you an email Cedric.